My second costume of the year is for my girl! She’s always so fun to sew for, so I couldn’t wait to hear her idea. 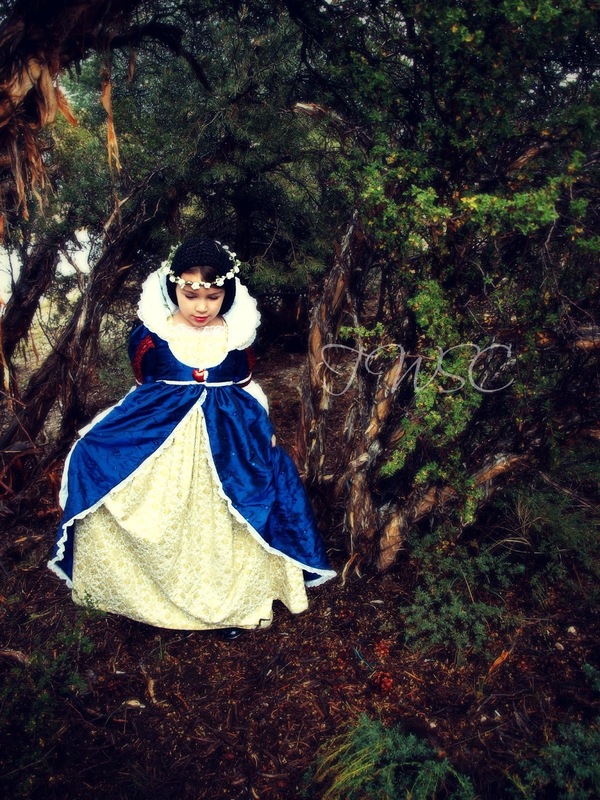 Then she said the last princess I wanted to make: Snow White. 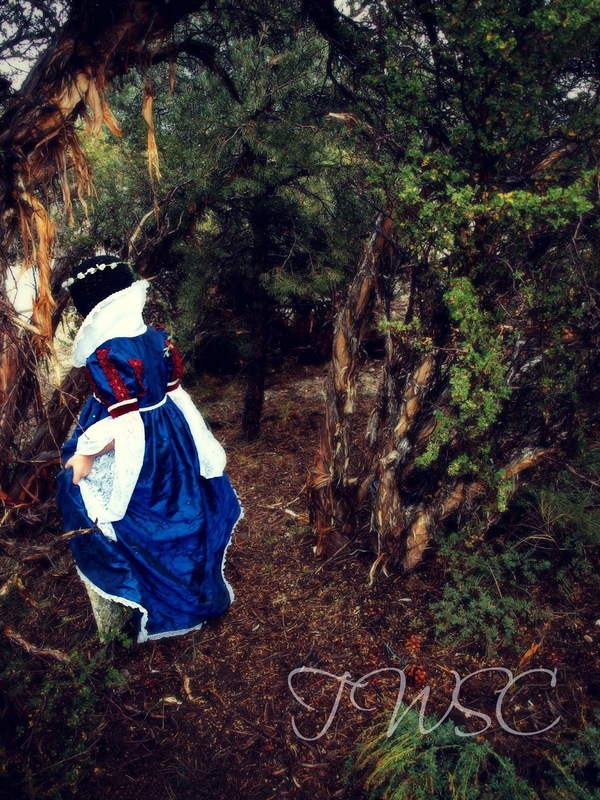 Now, I love Snow White…I’m just bored by her dress. It’s fine. It really is. I just like a lot more fluff than that. I couldn’t convince her of anything else, so I decided to re-work it. 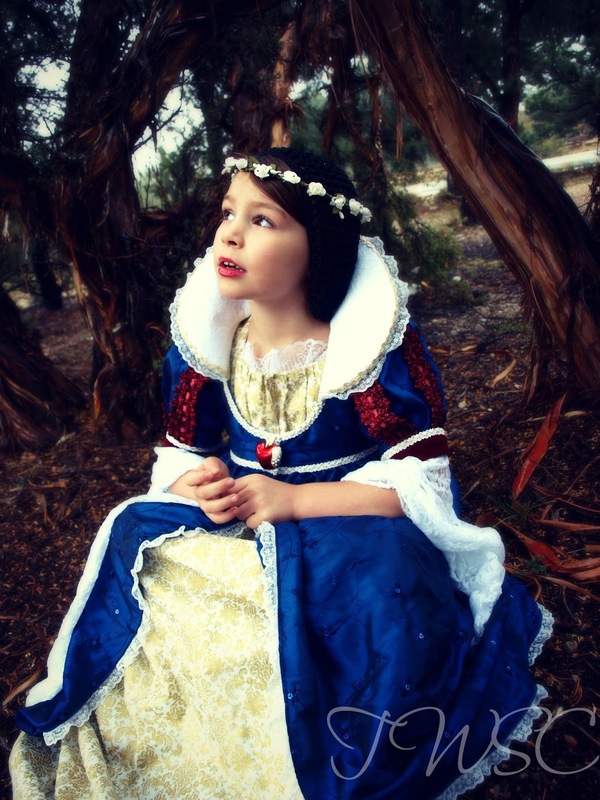 When I was finished I asked her “Do you love your princess dress?” to which she replied “Uh, No.” I could have died, but then she said “I’m a QUEEN!” And she wouldn’t take it off…so I live to sew another day. 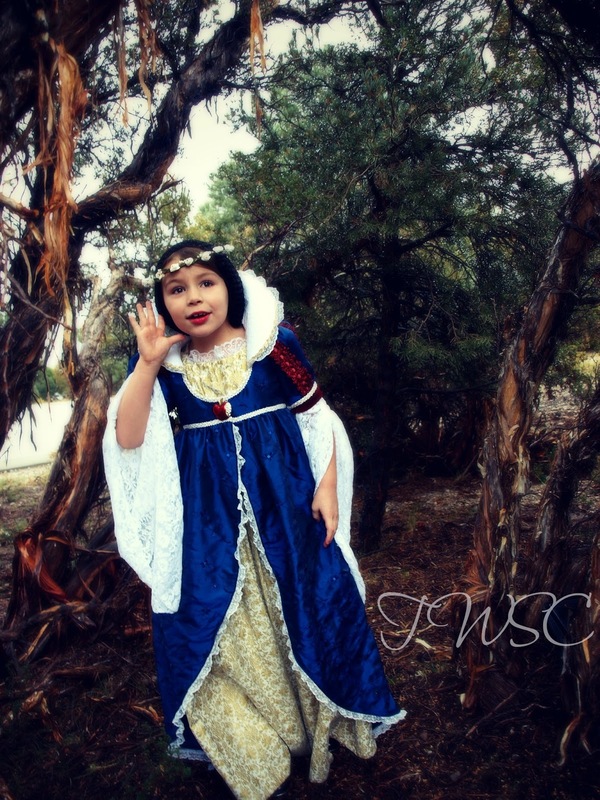 Well, here she is, my Queen Snow White. Like most things I make, no one pattern really did it for me. I like to combine elements to make something my own…which takes a lot of time and I end up hating myself. Luckily, I’ve been missing my machine, so even though the changes meant added time, I enjoyed myself. No one likes a grumpy Crystal, so everyone wins this time. The majority of the costume came from McCalls 7212- The underdress and overdress were both made from this. But I made the underdress sleeveless and put the sleeves on the overdress because I thought it had a better flow and would be easier to wear. 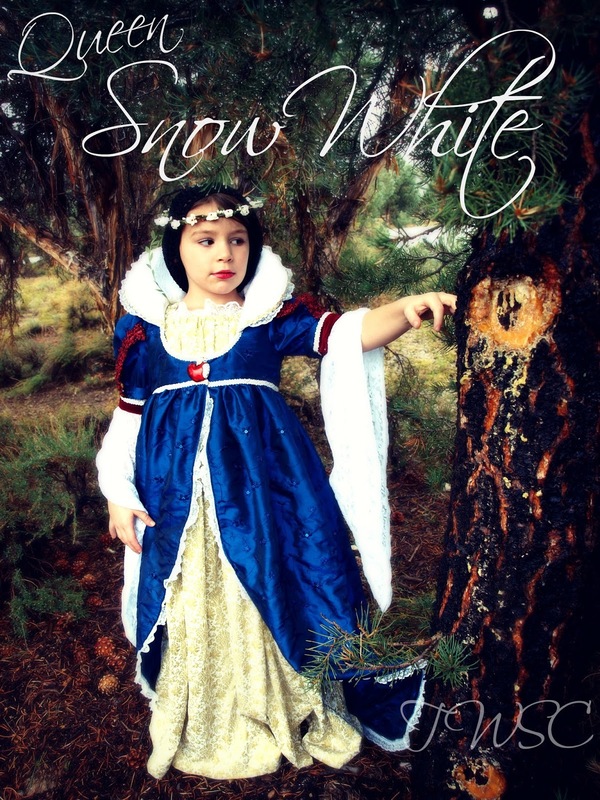 I added the faux paned sleeve to make it look like Snow White since that was who I was supposed to be making…Uh DUH. The lower sleeve I made using Simplicity 4944. I purchased a whole pattern for the sleeves. Thank goodness Halloween is my husband’s favorite holiday, too; it validates my spending on this. I used a pretty, soft stretch lace because I wanted a really nice drape. 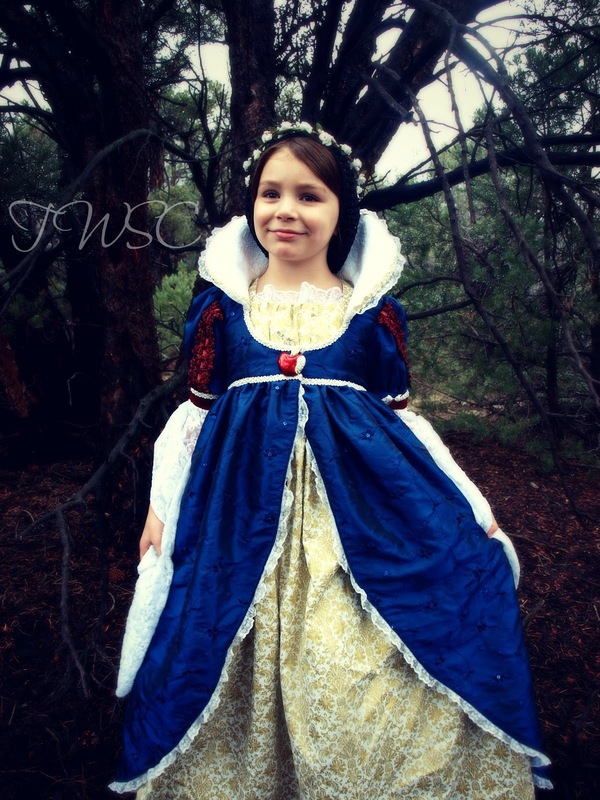 It looks great and is super comfy for my sensory sensitive girl. For the collar, I used Simplicity 2817. Yep! I bought a pattern for the collar. Now the original pattern had a collar, but I didn’t like it :::SIGH::: I’m like a toddler at mealtime sometimes. I LOVED the fact that the collar was removable! So what did I do? I attached it anyway, because I ended up liking that better. I HAVE ISSUES. 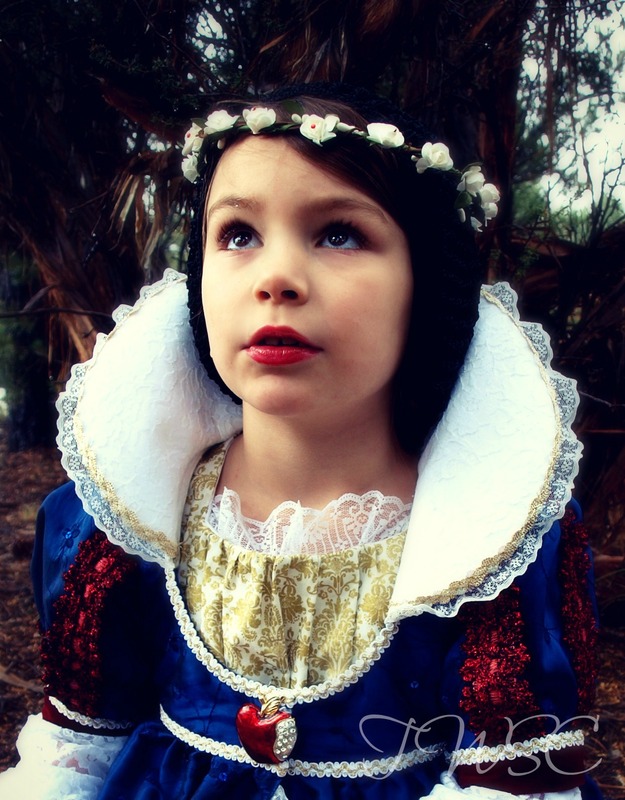 The accessories are just as important as the costume here…wait, no they’re not, BAHA! I’m so funny. But they really did finish off the costume. 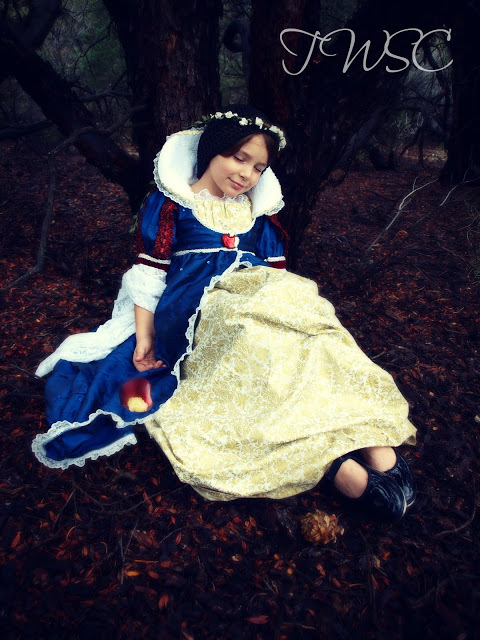 I purchased the apple brooch on etsy and the black snood and flower tiara at the local renaissance fair. Overall my daughter got the Disney character she was looking for and I got to have fun designing and creating. WINNING! 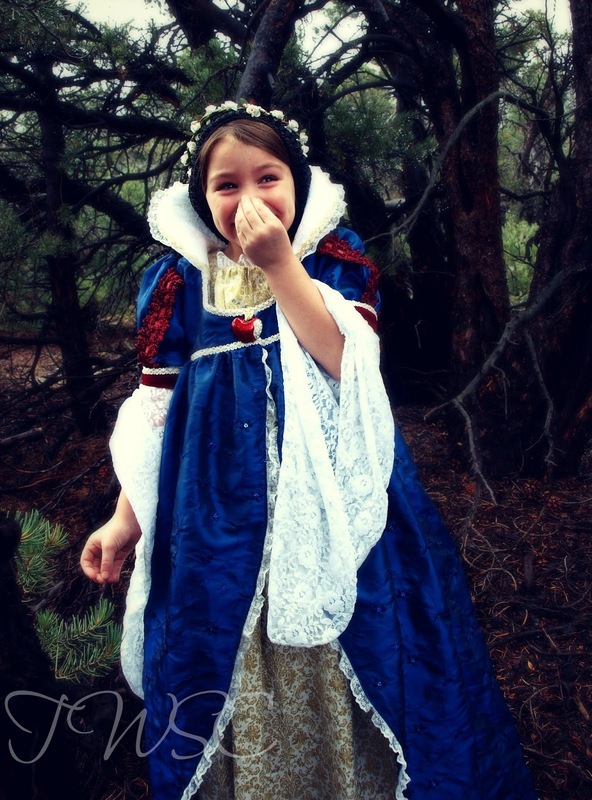 Now all princesses Queens have to have a little fun, so here are the sillies and giggles. Happy Halloween you guys! 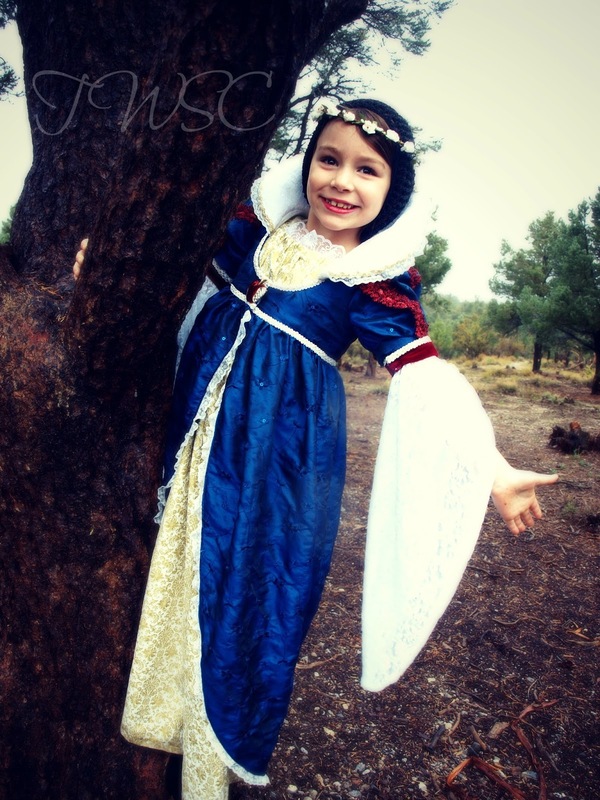 I have been loving all of the costumes I’ve been seeing and reading about on people’s blogs. This is seriously my favorite time of year. Just remember look out for poisoned apples (even the photoshopped ones because you forgot to bring the one you bought with you).